VisTech.Projects: [Android] Share and Open KML files with Planimeter. 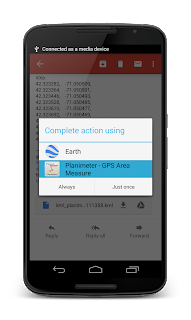 [Android] Share and Open KML files with Planimeter. 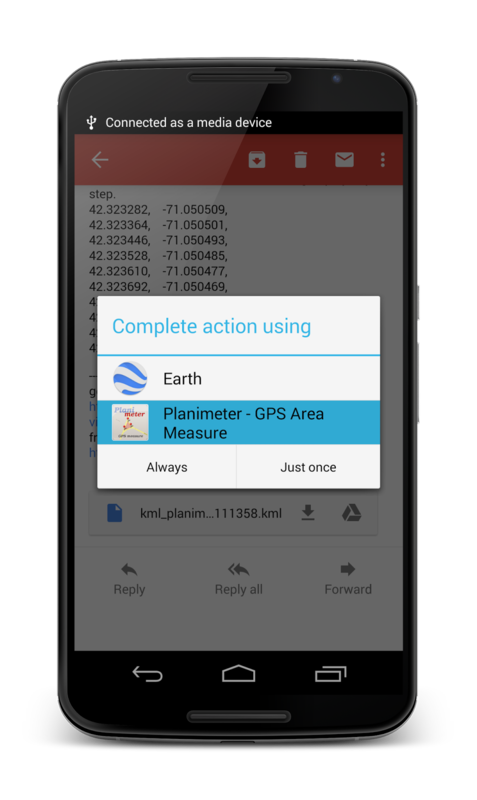 Planimeter update v4.5.0 for Android allows you to use the app as a KML viewer* and share files more comfortable. Now when you try to view Planimeter KML file from a file browser or email client, Planimeter will be offered as a viewer. With this update you can be more efficient and productive with Planimeter and view measurement results shared by coworkers and friends directly from an e-mail attachment. Export KML files and import them into Google Earth application is possible in previous version of the app. *Correct work with KML files generated in other apps is not guaranteed.